This is the second in the series, and you definitely need to read book one first as they run on directly from each other. I will assume that you read the previous book in my review. I really enjoyed the dynamics in book one and what each member of the relationship provided to the trio. We left them with Luke about to go back on deployment and the measures that Gia and Josh took to ensure that he knew he was loved. After a quick reminder of that wonderful time, we are straight into a very difficult scenario, which it takes a long time to examine and work towards resolution. The trio are not in a good place, and Gia in particular is struggling to see how all the roles each person takes can sustain their relationship. Add in their young daughter and she is stretched to the limits. I really enjoyed seeing how she behaves and supports her men. For reviews & more info, check out our The Luck of Love post. 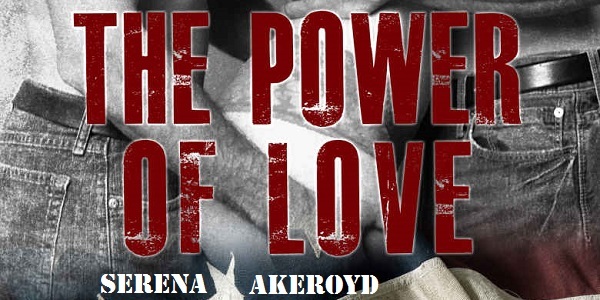 Reviewers on the Wicked Reads Review Team were provided a free copy of The Power of Love (The Luck of Love #2) by Serena Akeroyd to read and review.